Comments: Take a drive to beautiful Clarksburg, just 20 minutes from downtown Sacramento, and join us in our tasting room in the historic Old Sugar Mill. Experience our wines while enjoying the refreshing and friendly ambiance of Heringer Estates tasting room. Select a flight to enjoy for a small tasting fee redeemable with bottle purchase. 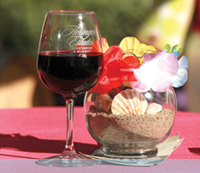 Heringer Estates wine club members and their guests receive complimentary wine tasting. Members also receive discounts on purchases of wine and tasting room merchandise. Join the Heringer Estates wine club family by signing up in our tasting room or click here to sign up online.